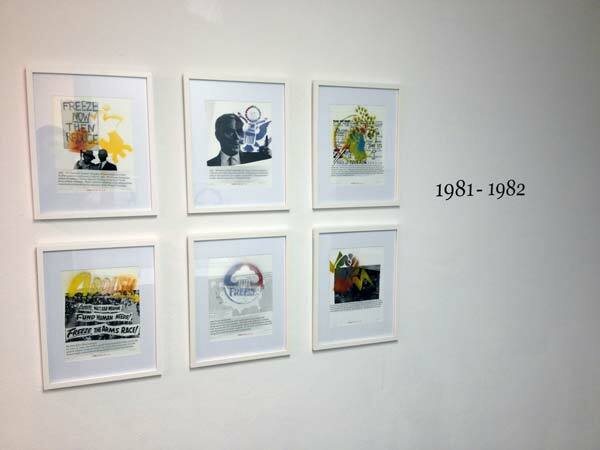 Here is a re-post of a post on the Justseeds site about the “Call To Halt” exhibition- Enjoy! To see the Justseeds post click here. 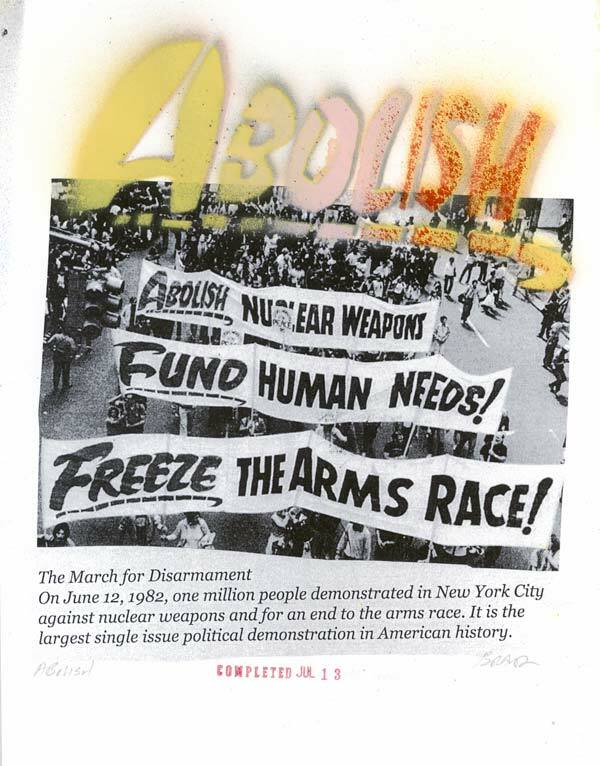 A Call To Halt: A multimedia installation and critical timeline of the Euromissiles Crisis, and of the nuclear abolition movement in the United States from 1977-1987 is a new project by friend of Justseeds, Brandon Bauer. 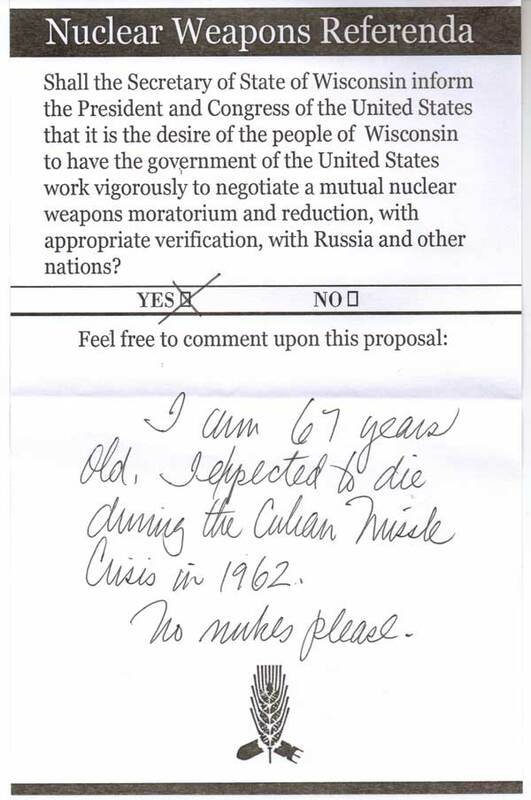 The installation includes a participatory reenactment of the 1982 Nuclear Freeze Referenda, in which Wisconsin was the first in the nation to put multilateral nuclear disarmament policy to a popular vote. 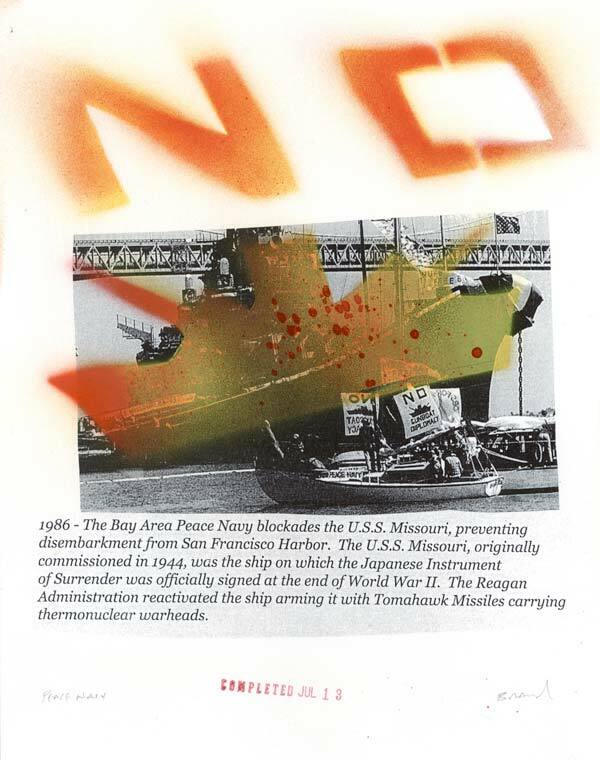 I made a series of stenciled photocopy transfers of different points in this critical history of the nuclear abolition movement- the birth of the plowshares movement, food not bombs, the 1982 March for Disarmament which is still today the largest political demonstration in US history, the Bay Area Peace Navy blockades, and the politics of the day- Reagan of course. 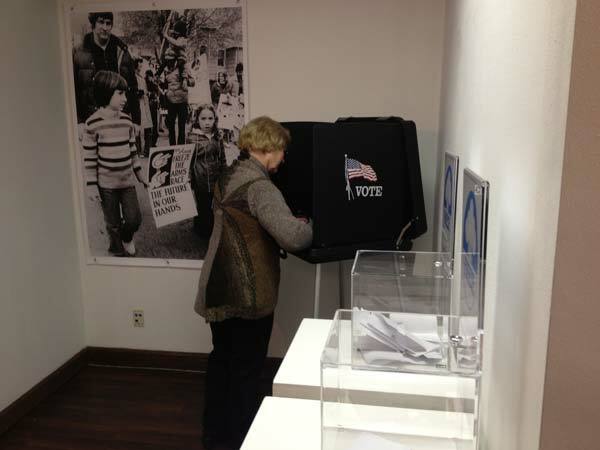 The exhibition also includes a voting booth where people can re-enact the 1982 Nuclear Freeze referendum which put nuclear disarmament policy to a popular vote all across the country. I traveled to various archives in the state for research for the project. 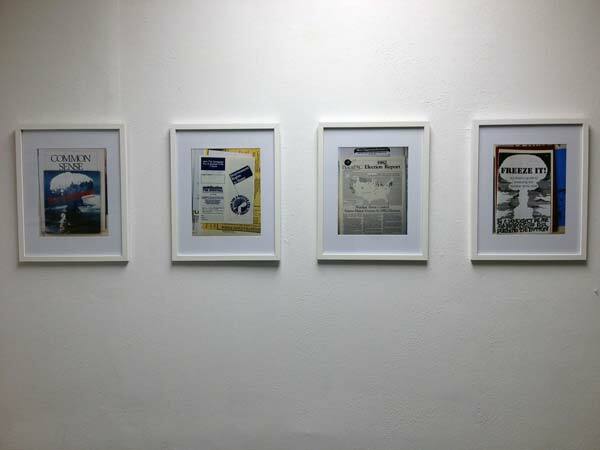 There are also a series of photographs from the archives included in the exhibition, and a reading room with select texts relating to this history. 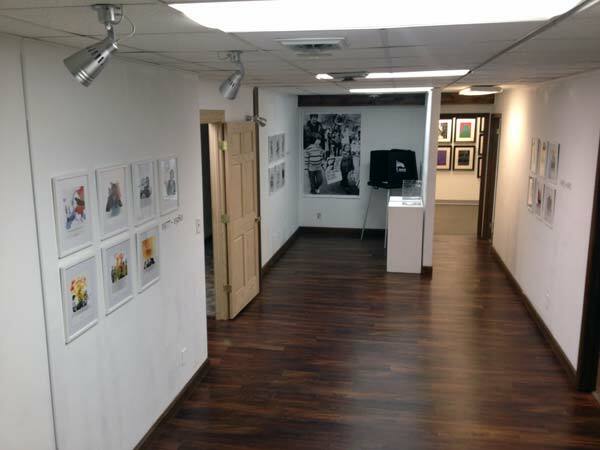 The project was recently exhibited at Frank Juarez Gallery in Sheboygan, WI.